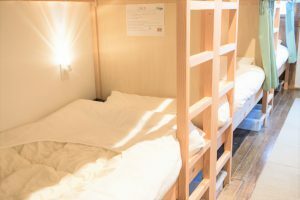 Our hostel has two rooms each furnished with custom build bunk beds. 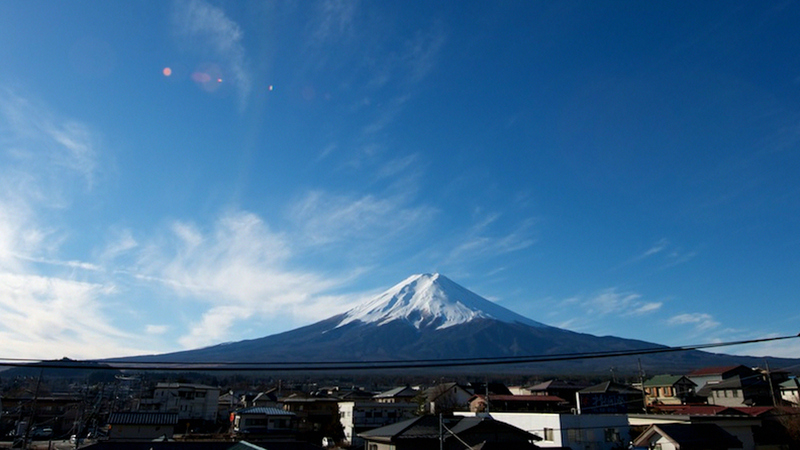 We provide futon (mattress and bed sheet), pillow and pillow case, and blanket for each guest. 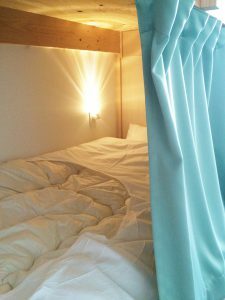 Each bed also has a privacy curtain, and two electrical outlets (see photo). Guests can also use the free WiFi internet connection from the comfort of the bed. Each room is equipped with an air-conditioning unit, maintaining a comfortable room temperature both in the summer and in the winter. 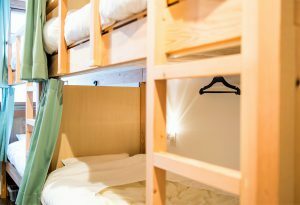 For the safety of our guests, each bed is equipped with a smoke detector, and fire retardant material for the curtains.